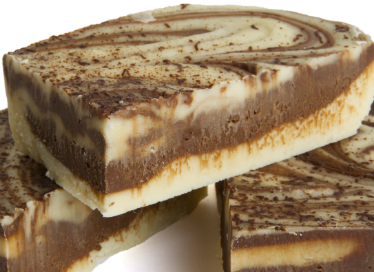 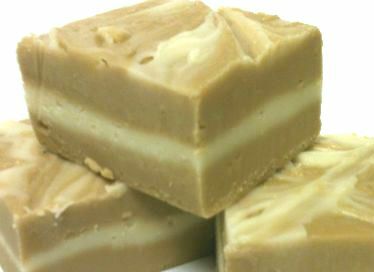 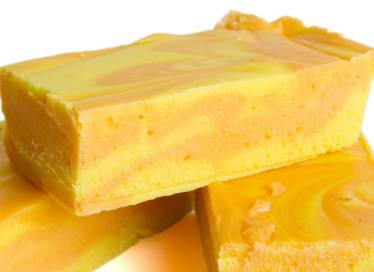 This fudge is seriously OMG! Hence the name. 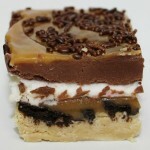 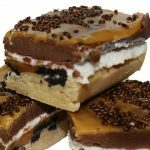 A vanilla layer of fudge, oozing peanut butter, Oreo biscuits, gooey caramel, white sticky marshmallow, rich chocolate fudge, plus salted caramel sauce and topped with sprinkles – OMG! 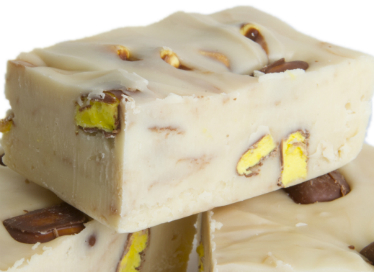 Tammy our Fudge Reviewer had this to say about OMG!